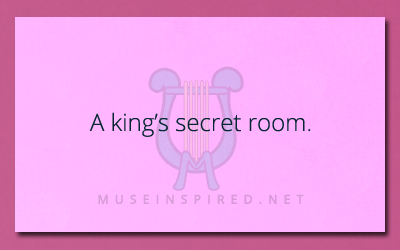 Describe what your would find in a king’s secret room. Siring Settings - The small house built in to a cave at the bottom of a mountain. Siring Settings - The rainbow rock on the side of a mountain.